Here are the image so far i have, those who want to share ur image or comment, u can post it here. For contributor, kindly resize the image to 16x16 with 256 colour(normal poi) & 24x24 with 256 colour (Building poi). Both format had to be bmp file so tht easy for mapper to update to the map. enclose here is my database, pls download it for ur reference, Don't repost the same image unless it is clearer then the previous one. Thanks, jans_wkh. I have several citibank icon contributions. Will select and incorporate later. 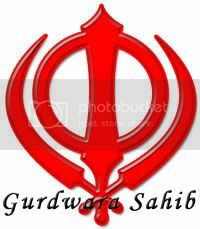 Can I suggest all the "Sikh Temple" & "Gurdwara" symbols to be changed to the one I attached below? Its the sign that you see on all Sikh Temples in Malaysia and other countries. thats new icon is fantastic..
i hope mosque have own icon too..
all religion have their own symbol right?